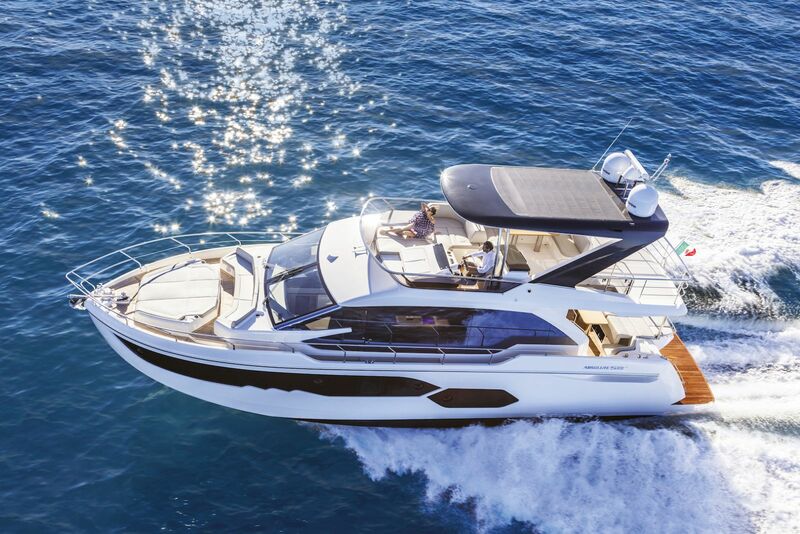 The Absolute Yachts 64 Flybridge is the optimal boat for the owner/operator who wants the versatility for day cruising, but also the capability to extend trips by days or even weeks with multiple guests. 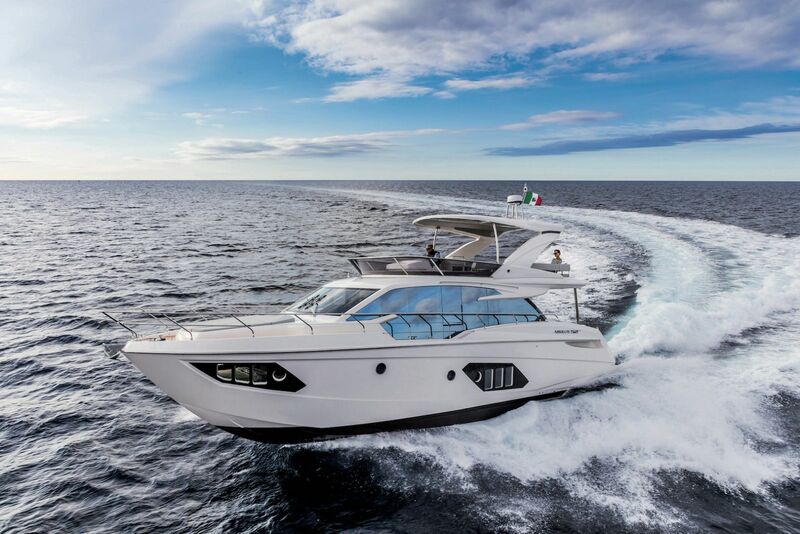 Sporting the traditional Absolute Italian style and flare, her performance is exhilarating and fun, particularly when driven from the flybridge helm. 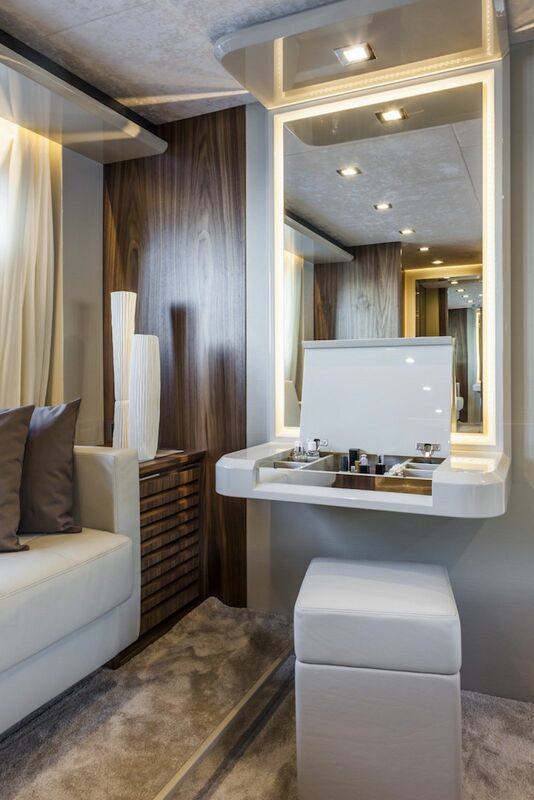 The bridge space is as dramatic as it is functional, a nod to the Italian design and focus on luxury. 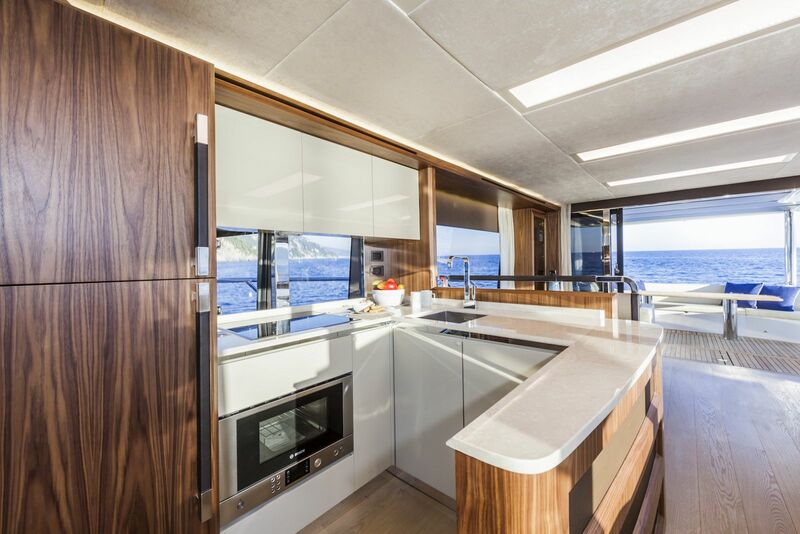 A full grill top, sink, refrigerator and a dinette that can comfortably fit eight guests for an enjoyable meal with your choice of ocean views. 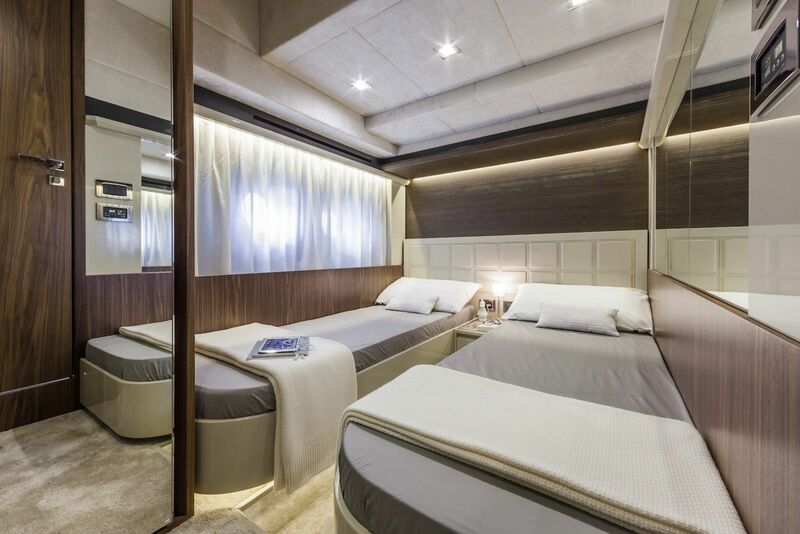 The lounge space adjacent to the helm allows the Captain to hold a conversation with guests - sans having to yell. 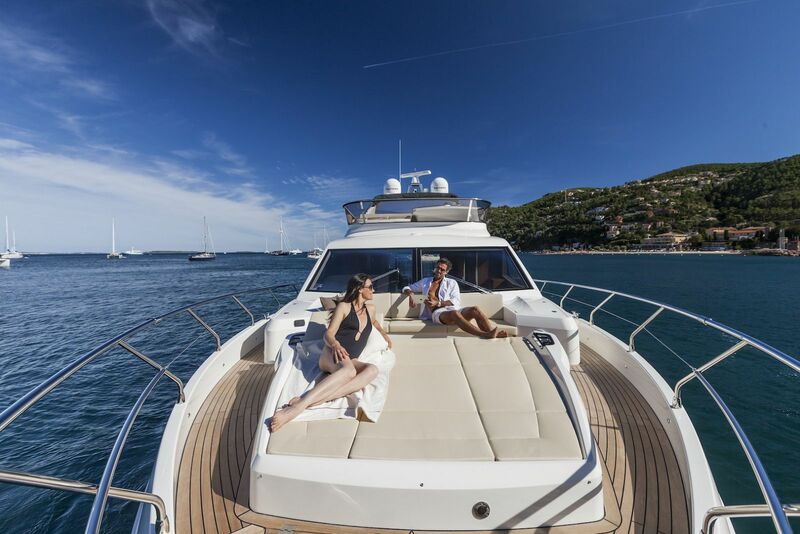 Aft facing lounge chairs gives the flybridge an additional and optimal gathering destination for your those onboard. 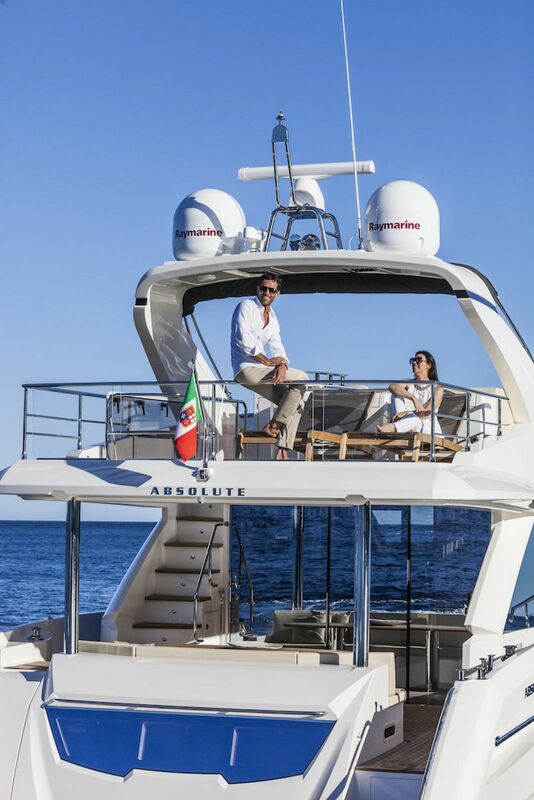 Absolute is redefining elegance with all their current models and the 64 flybridge is certainly an example of that. 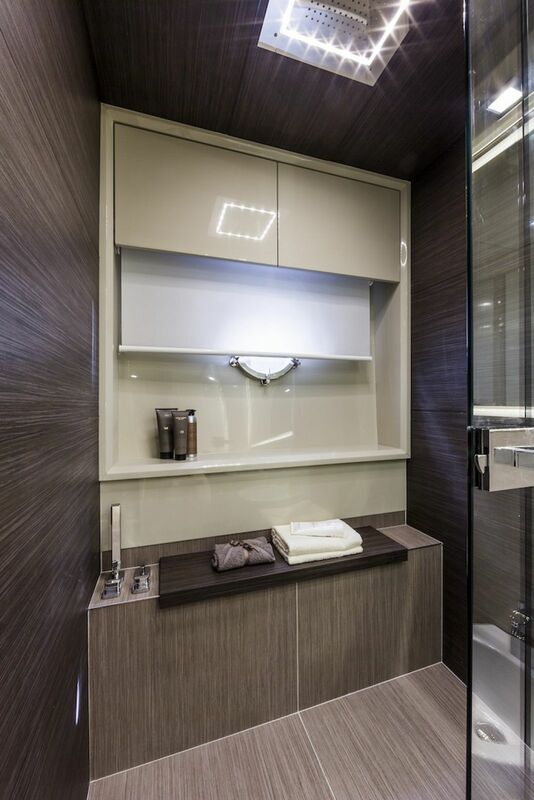 The curved lines, tasteful leathers, exceptional fit and finishes, raindrop shower spouts are all an added value appealing to those who spend their free time on the water. 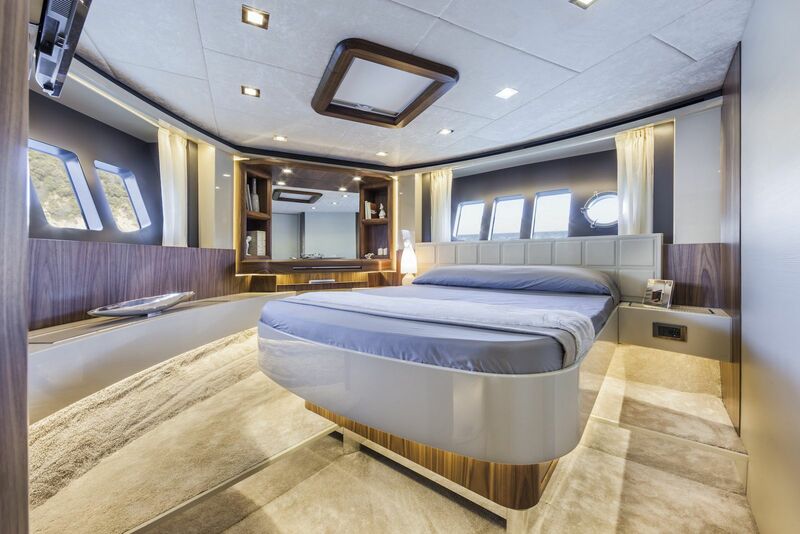 Just imagine, once you close the door entering your full beam master suite, the worries of the life just seem to disappear. 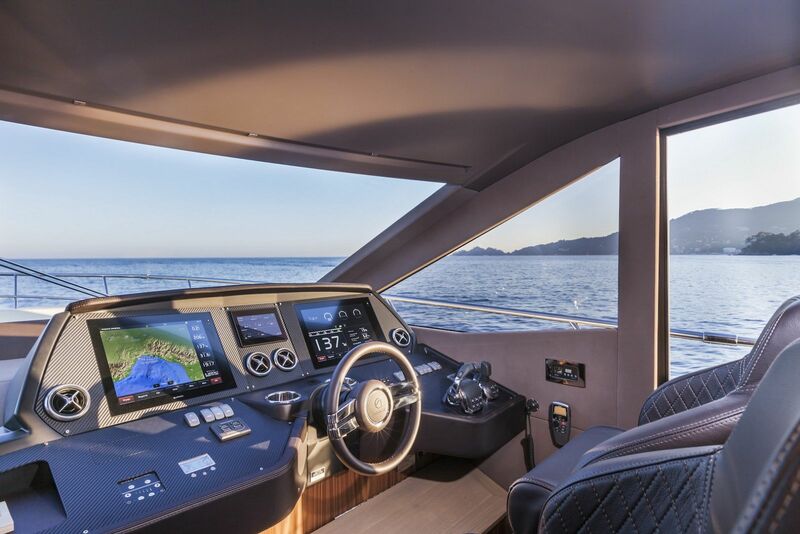 The largest of all of the Absolute Yachts model series is the Flybridge range with includes nine different sizes from 40-feet to 72-feet. 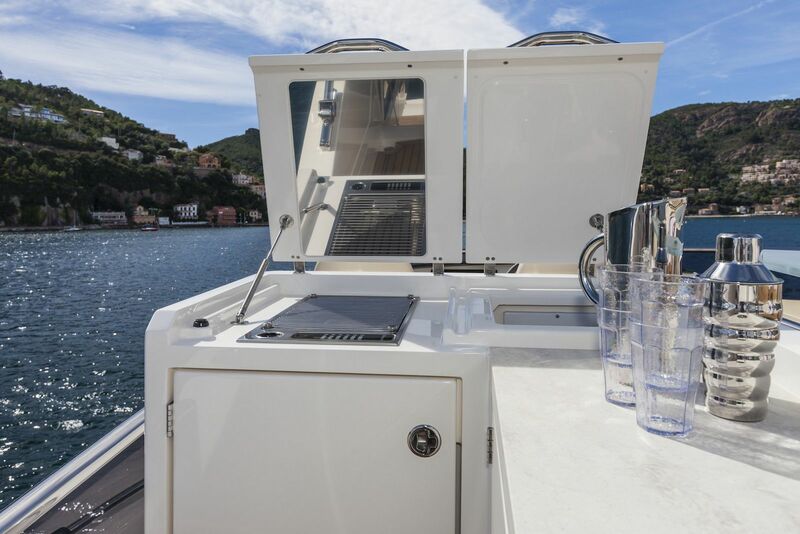 This dedication to their range of flybridge yachts shows how serious the team at Absolute is about enjoyment on the water. 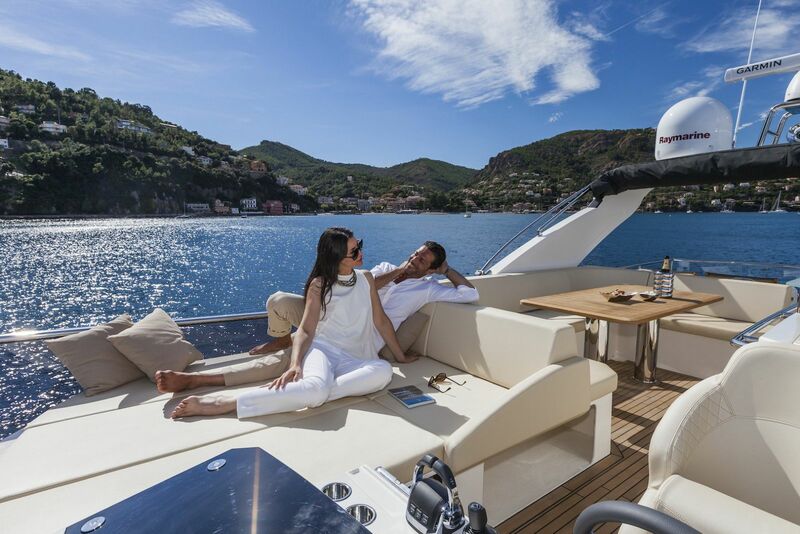 A flybridge on a yacht is a gathering place for everyone on board. 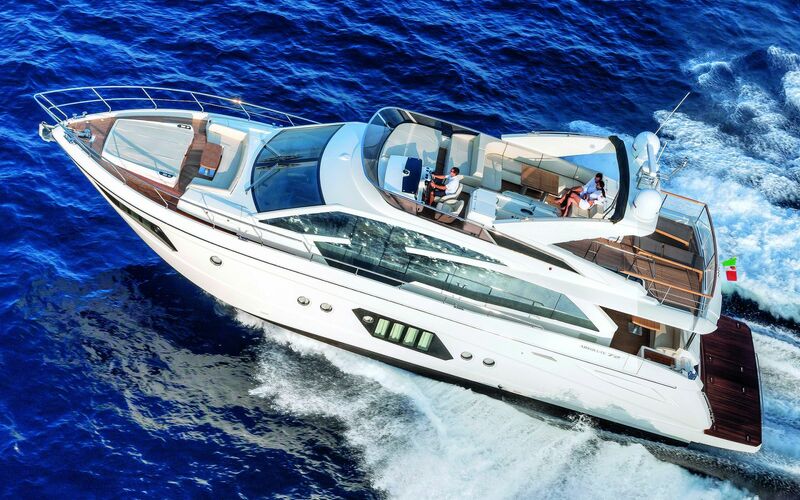 It’s the home of laughs, conversations, and life’s unforgettable memories. 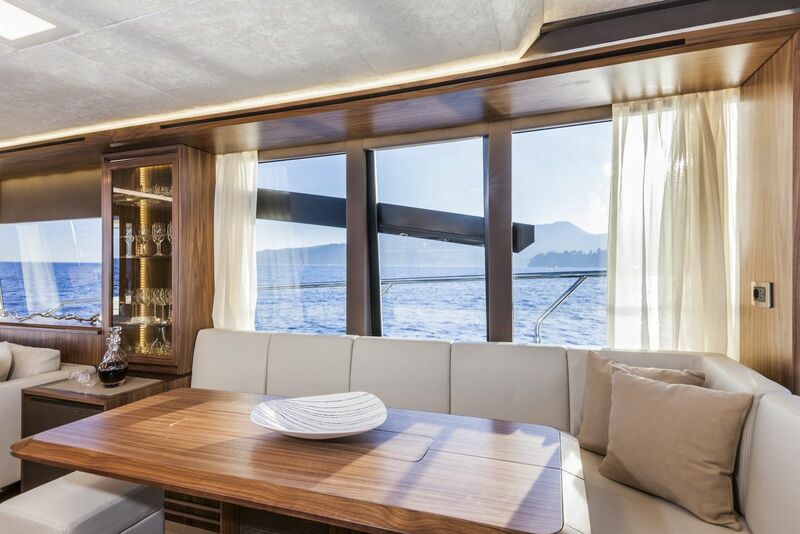 Absolute knows the value of a well-thought out flybridge which is why the design influences this lifestyle through comfort and high optimization of space. 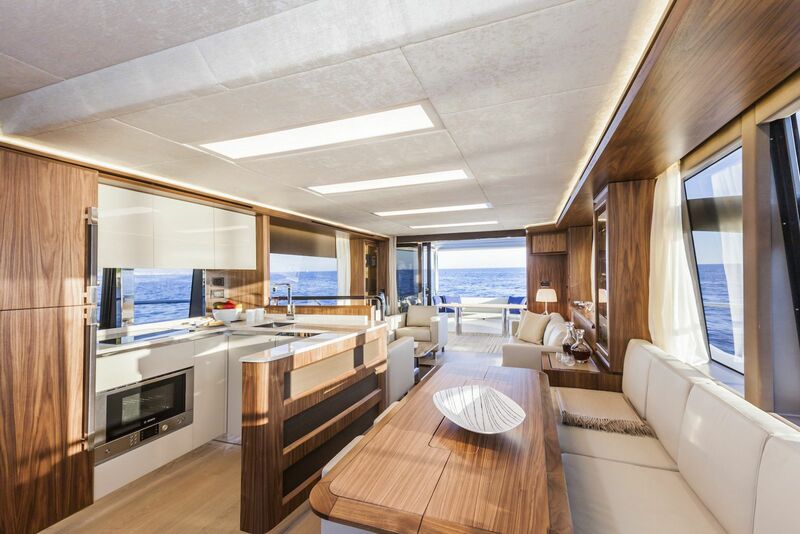 Absolute owners are anxiously anticipating the newest member of the flybridge range - the Absolute 48. 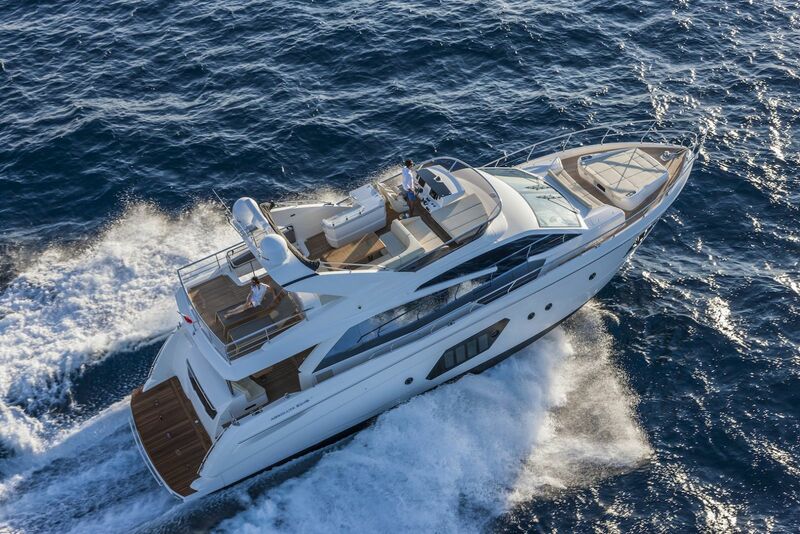 (Translated In English) The Boat Show creates a video review of the Italian yacht, the Absolute 64 Flybridge. 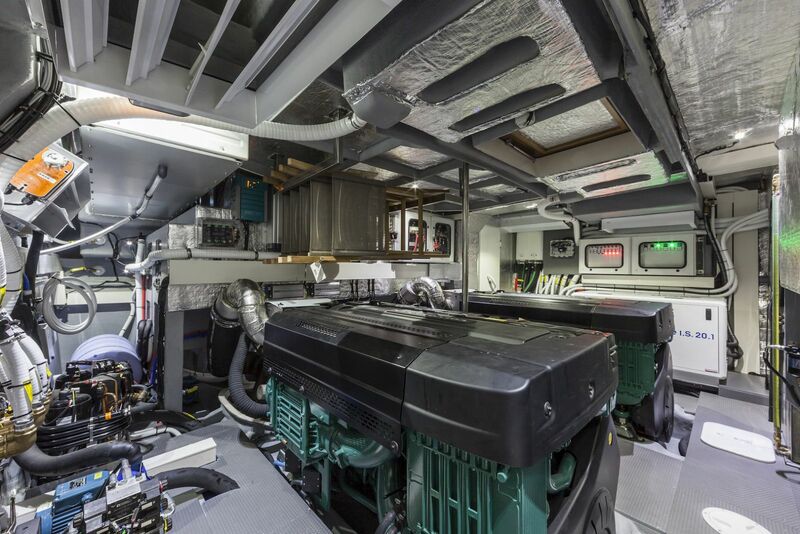 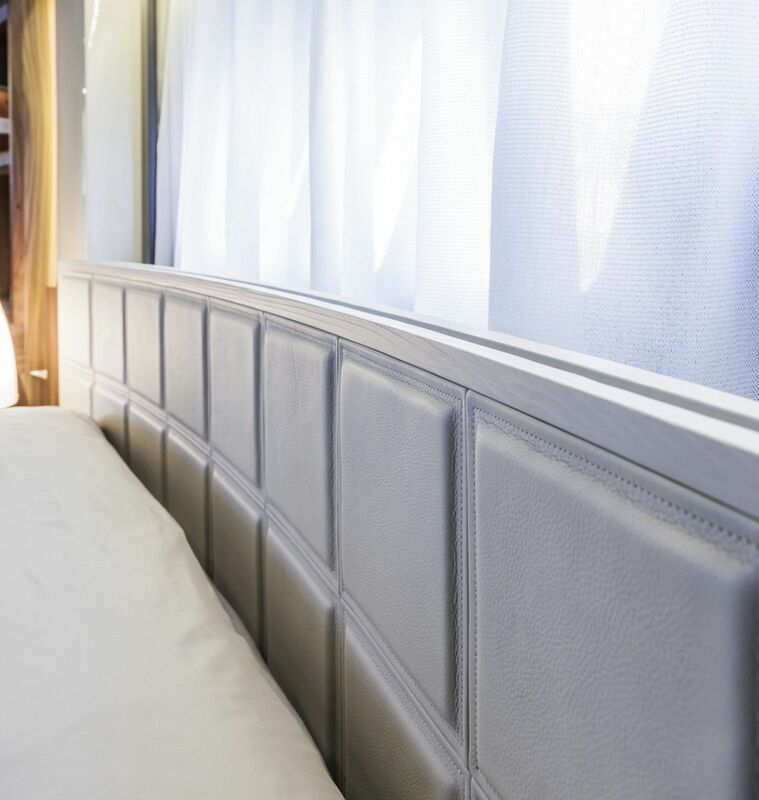 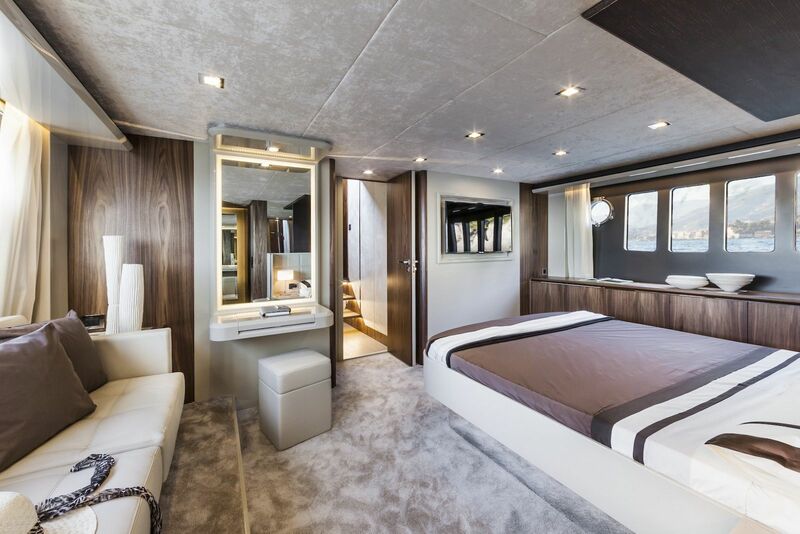 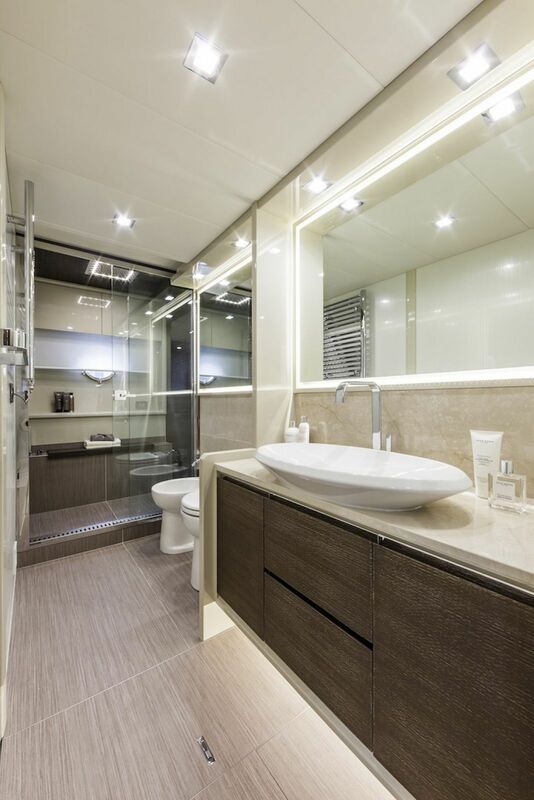 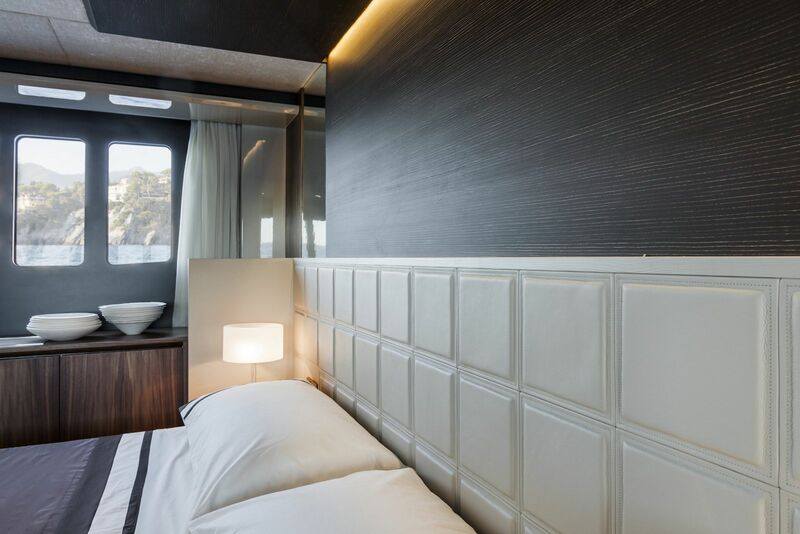 "The four cabins welcome the ship owner and his guests, offering them comfort, privacy, and refreshment."